This is blockchain at work, with full integration, and implementation. Looking for a wireless standard? South Korean summers are full of sun, outdoor activities and picnics. Unfortunately, they are also full of mosquitos. EnLink's IZAP Pro is an LPWAN enabled insect trap that collects valuable data about insects, and the surrounding environment. With sensors installed in over 13,000 parks, the collected data has the potential to provide unique insights about park pests in South Korea. MXProtocol enables these devices to list the data on the MXC Cortex (inter-chain data market). Data listed in the market can be used by developers wishing to give potential picnickers insight into mosquito levels in local parks. Air quality in South Korea is a real danger to public health. Yellow dust from China's Gobi Desert invades Korea, carrying with it variety of pollutants including heavy metals, bacteria and viruses. EnLink manufactures an LPWAN enabled fine dust sensor and alarm system that provides real-time air quality warnings. By connecting air quality sensors to the MXC Cortex, developers can easily integrate live, localized data into apps designed to tell people when it's better to stay inside. Looking to improve wireless in your city? Though Korea is relatively protected from earthquakes, it is not immune. Earthquakes in 2016 and 2017 demonstrated that new technology is required to assess risk and warn people when the probability of an earthquake is high. 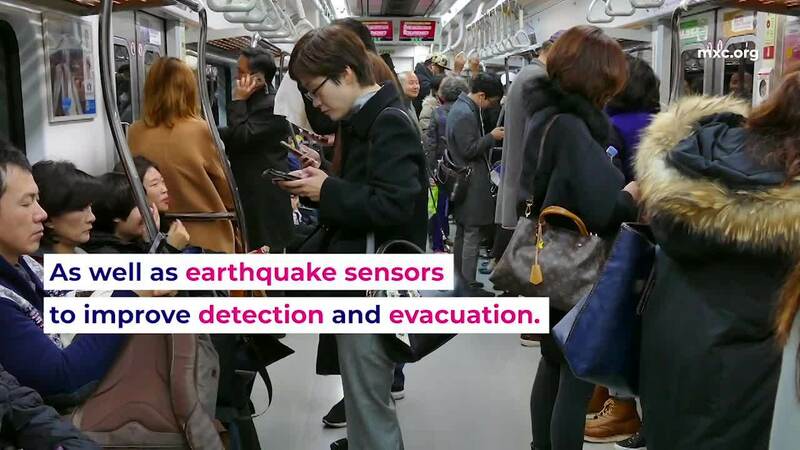 EnLink manufactures an LED light with a built-in earthquake sensor, making it possible for people to crowdsource the data needed to build an earthquake detection system. Integration with the MXC Cortex lists all of the data from each individual sensor on one platform for simplified data analysis and integration.